The San Jose Sharks are not a sure thing to make the playoffs, yet this season might be among their best chances to win the Stanley Cup. Several things need to align for this to happen. Still, it is a strangely promising path. I’ve identified five keys to a Sharks playoff run to a Stanley Cup, but a sixth factor turns out to be very important. What makes this compelling, is that it is not naive optimism but rather everything listed has a reasonable chance of happening. The first is the most obvious. If the Sharks don’t make the playoffs, they won’t have a chance at a Stanley Cup. While the Sharks sit in a playoff spot, there is very little separating them and several other teams close behind them. Eleven teams are in the playoff chase in the Western Conference and only eight will make it. Three teams are effectively in. The remaining eight teams, including the Sharks, are fighting for the remaining five playoff spots. The Sharks are at the head of this tightly-grouped pack, tied for the fourth-best record in west but the lead is minuscule over the next six teams. The Sharks have a difficult schedule remaining (23 games) but so do other teams. Every team in the hunt plays enough games against their close competitors to control their own destiny. The Sharks need around 97 points for a playoff spot (the eighth best record projects to 94 points, the eleventh best record projects to 93). A modest record over the remaining games accomplishes this. Say the Sharks win eight games in regulation, lose nine in regulation and tie the remaining six. If the Sharks win half of those six games, their record is 11-9-3 which earns them 97 points. Its reasonable. Health often determines who goes far in the playoffs and who doesn’t. Their last two playoff runs were greatly affected by health issues, one positively, one not. 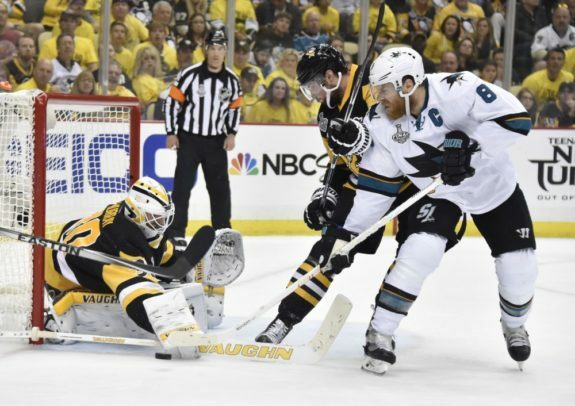 The Sharks run to the Stanley Cup Final in 2016 was with a healthy team. The following season, the Sharks exited in round 1 and the ‘injured but playing’ list was long. The Sharks’ top three centers were playing with significant injuries as were four wingers and one defenseman. Three players are out (maybe more, as three players left the ice early in the game against the Dallas Stars on Sunday). 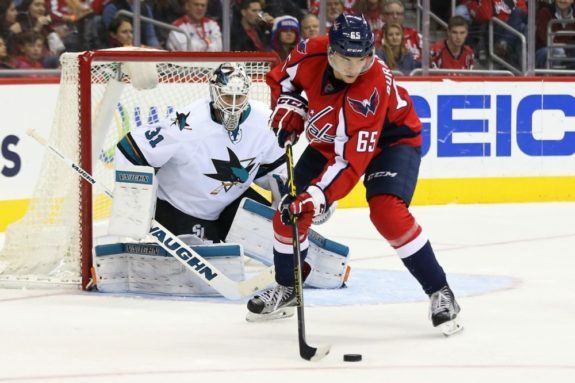 One of the three, Tomas Hertl, will likely return within a week or so. One hopes he’ll be fully healthy when he does. Joel Ward is expected to be out for a while, week-to-week is the most recent update, but the Sharks can cover for his absence with their depth. Joe Thornton’s absence is the biggest one. There are two parts to Thornton’s recovery and both need to happen. He needs to return and, more critically, be healthy enough to play at a high level. Whether he can recover sufficiently from MCL knee surgery is an open question. From the description of the Jan 25 surgery, educated guesses place his return in 8-12 weeks. A twelve week recovery period would have him back during the first round of the playoffs. Thornton’s even strength play has been mixed this season but he’s been a force on the revamped power play. His return adds leadership and gives the team an emotional lift. Sure, every team can say the same. A hot goalie makes a huge difference. But one doesn’t need a hot goalie, just one who plays well and steals an occasional game. Sharks goalie Martin Jones hasn’t had a particularly good season. He’s either been very good for a long stretch or pretty bad for a long stretch. The times when he was pretty bad, seem to correlate to injuries. He’s delivered two stretches where his save percentage hovered around a stellar .940. He’s in one of these stretches now (eight games) and he had a 15 game stretch earlier in the season. Jones has shown he plays well in the playoffs. Perhaps his best career game came on the road in Pittsburgh in the Stanley Cup Final, when he stole a game with 42 saves, many of them brilliant. Even in the playoff series loss last season against the Edmonton Oilers, Jones was solid. In 30 postseason starts, he has given up 64 goals and holds a .925 save percentage. Is it good enough to win a Stanley Cup? Pittsburgh Penguins goalie Matt Murray has won two Stanley Cups with virtually identical numbers. Murray started 31 playoff games, giving up 63 goals and a .928 save percentage. The Sharks have been among the league’s best in special teams almost all season. If they continue to have a superb penalty kill and lethal power play, they will be able to play more aggressively while forcing opponents to be more passive. This is the sort of advantage that aided the Los Angeles Kings in their Stanley Cup runs. Unafraid to play aggressively and serve penalties if something went wrong, the Kings were able to dictate play for long periods of time. 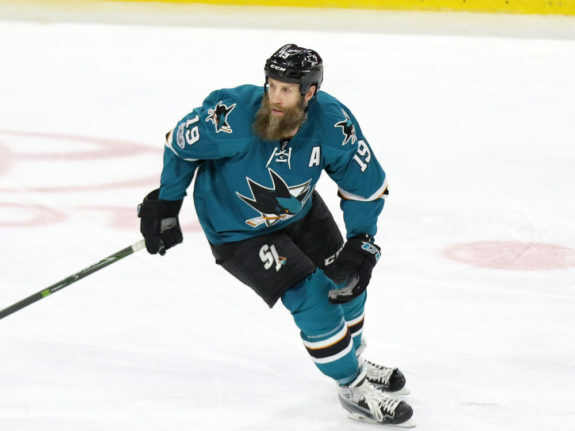 If the Sharks’ special teams give them confidence while disrupting that of their opponents, the Sharks will have a distinct advantage in these series. The Sharks have good forward lines and solid depth. The defense is led by the shut-down pairing of Marc-Edouard Vlasic and Justin Braun, one of the best in the league on this front (they have respectable offensive punch, too). The third pairing of Dylan DeMelo and Brenden Dillon is a bit dicey, but alas, isn’t almost everyone’s third pair? It’s probably average in the playoff field. The defensive pairing which will help determine the Sharks’ fate is the other pairing. It is rookie Joakim Ryan and perennial All-Star Brent Burns. Burns is last on the team in plus-minus and on track for a career worst. In contrast, Ryan leads the Sharks in this category. The two have been paired on and off over the course of the season but it seems likely to stick the rest of the way. Ryan has easily been the best partner for Burns. It bears mentioning, while Ryan is a rookie, he’s not young. He is 24 and was among the top defensemen in the AHL last season. While there has been some adjustment needed, Ryan grew pretty comfortable pretty quickly in the NHL. As the season has gone on, his minutes have increased, a strong sign that the staff believes in him. Many players hit a wall in their first NHL season, but Ryan’s minutes have been modest (less than 17 per game), and he has been a healthy scratch nine times. He isn’t likely to hit a wall. Still, Ryan is a rookie and Burns has not been close to his Norris Trophy-winning form of last season. There is no certainty here. 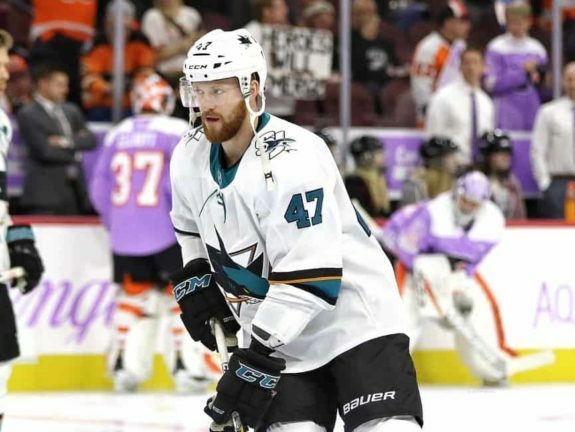 Should this combination settle down and start to take on the characteristics of last season’s pairing of Burns and Paul Martin, the Sharks have plenty of upsides. Burns has to be more efficient on offense and less a liability on defense. To the extent Ryan can help in these areas, the Sharks will become a more dangerous team. There are signs it is working, too. When the team gets Burns’ offense without the defensive liability, they get the best defenseman in the game. And with that version of Burns, the Sharks become very difficult to beat. The first five keys all relate to the Sharks. The final piece of the puzzle is everything else. It is the competition. The Western Conference has tremendous parity. There are a bunch of good teams but no great teams. Really, no very good teams, either. The three teams which top the conference are the Nashville Predators, Winnipeg Jets and Vegas Golden Knights. In games against these teams, the Sharks have won twice in regulation, lost twice in regulation and gone into overtime twice. If one excludes empty net goals and overtime (because there is no 3-on-3 in the playoffs), the Sharks have outscored the Jets and Predators. Vegas has outscored San Jose by one (despite an officiating abomination in their last contest when four clear high sticking fouls went uncalled against Vegas). There is no compelling difference between the Sharks and any of the top three teams in the Western Conference. Nor, it turns out, is there a compelling difference between the Sharks and the rest of the teams in the Western Conference playoff chase. The Sharks have played 15 games against the seven other Western Conference teams in the chase and have only lost four times in regulation. Two of the losses were to the Colorado Avalanche, and San Jose outshot them by a staggering 87-42 margin. Which team should San Jose be worried about facing in the playoffs? The answer is no one. No team still competing for a playoff spot in the West is much better (or worse) than anyone else. 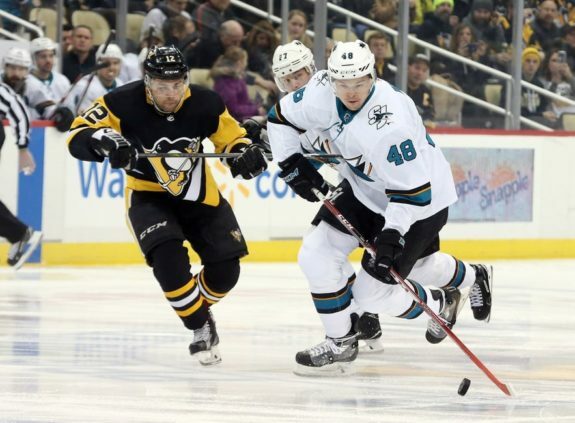 There may be a series or two where one team matches up poorly with their opponent but that won’t be the case with the Sharks and their likely opponents. They are competitive in this field. In particular, they are very competitive in the Pacific Division, which likely covers their opponents for the first two rounds of the playoffs. Should the Sharks navigate the field and make their way to the Stanley Cup Final, they’ll get a shot at glory. At this point, there are matchups that work against San Jose. The Sharks were blown out twice by the Tampa Bay Lightning and beaten twice by the Boston Bruins. The Pittsburgh Penguins represents a psychological challenge as well as a physical one. Still, this is a long way off and much will change between now and then. Who knows who’ll still be healthy, which goalie will be hot and whose special teams are firing on all cylinders. 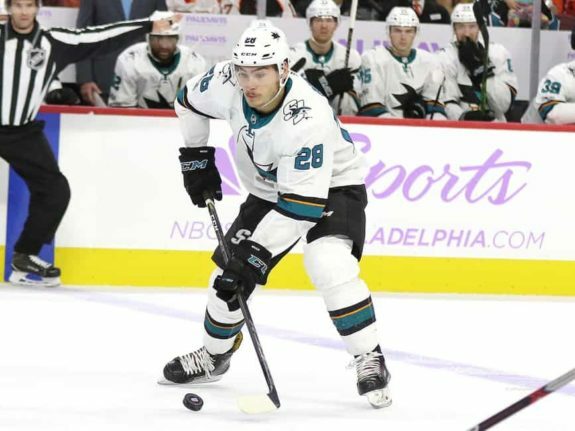 In the season previews, many people saw the Sharks as a borderline playoff team and not a team cut out for a deep playoff run (myself included). Some saw them outside the playoffs. This isn’t a great Sharks team, but there is no great team in the Western Conference. Parity means a wide-open tournament. The gap between the best team and the eleventh best team is shockingly small. To get to the Stanley Cup Final, the Sharks need a few key things to go their way, none of which are unrealistic. I’ll give the Sharks the roughly equal odds at reaching the Stanley Cup Final as any other Western Conference team. If they meet all five of the keys presented, they might even be the favorite. 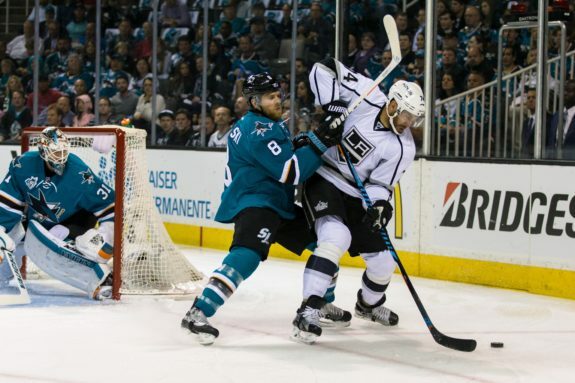 • In the absence of Joe Thornton (38) and Joel Ward (37), the Sharks are skating their youngest team of the season. In the 5-2 win over Dallas on Sunday, the Sharks played nine players 25 or under. In the season opener, this number was just six. Since Ward went out five games ago, Joe Pavelski (33) and Jannik Hansen (31) are the only Sharks forwards over age 30. This is the youngest lineup of the Peter DeBoer era, now in season three. In the first two seasons, DeBoer had Paul Martin, Patrick Marleau, Thornton and Ward playing on a nightly basis. None of them are in San Jose’s current line-up. Martin is the baby of this bunch and he’ll turn 37 in a couple weeks.